Fourth of July is Coming!! Some great titles for the upcoming long weekend. 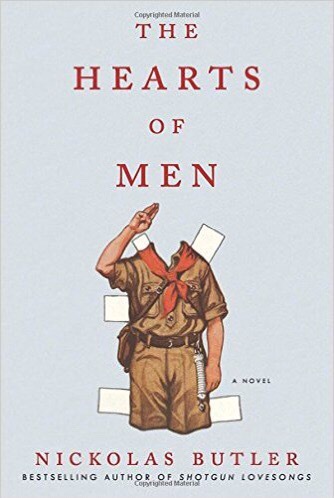 An unusual character study of woman breaking free of emotional chains, a novel about three generations of men (and a woman) at a Boy Scout camp and a good old fashioned romance. Enjoy the beach!! 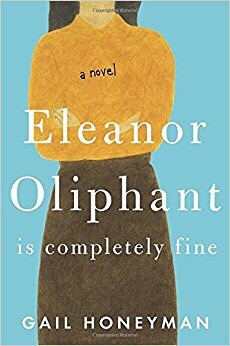 Elinor is prickly, socially awkward and lives her life is in a very predictable bubble; she goes to work – where she considers everyone an idiot – has Wednesday night chats with Mummy and her weekends are spent alone, a vodka bottle for a companion until Monday rolls around and it starts all over again. I know, this sounds awful, but it’s really quite wonderful! One day after work Elinor finds herself with a new co-worker, Raymond, helping an elderly man who is ill on the street. This small event leads to visits with both men and opens a door for Elinor to slowly begins to break out of her routine and broaden her boundaries. It also opens a door for the reader as we learn a lot of reasons for Elinor’s quirks, formative years spent in foster care following an accident that left her physically and emotionally scarred and apparently “Mummy” was quite the monster, who continues to have a strong influence on Elinor’s psyche. As Elinor begins to open up about her repressed past to the new and compassionate friends in her life, her current vulnerability is often crushing, yet by slowly letting people in and evolving we see Elinor blossom and head toward a life she more than deserves. At the start of this marvelous novel Nelson Doughty, known derisively to his troop mates as the bugler, is 13 years-old at Camp Chippewa in the summer of 1962. He is a good scout with many badges and detested by his fellow scouts, perhaps because he tries too hard? During this week we see memories which reveal insecurities that stem from an abusive father and needy mother. You can’t help but feel terrible for sweet Nelson, but at least one scout, Jonathan Quick, looks out for him. As the camp draws to a close, Nelson will be tested by both his peers and the camp director, the one man he respects; does he want to be included among his fellow scouts or prove himself to be a true and loyal scout? In the ensuing chapters, we see Nelson’s relationship with three generations of the Quick family as they return with their children year after year, and see hearts of these imperfect men, some good, bad and regretful. PS Butler also wrote Shotgun Lovesongs (2015), his debut about four childhood friends who reunite in their small Wisconsin town for a wedding. A really good read. Aaaaah romance, in this case, the one that got away…and then drops in every once in a while. After they meet at Columbia on 9/11 Lucy and Gabe feel a lasting connection that will keep them in and out of each others lives for more than a decade. While their fast attraction gets way laid in college the two reunite shortly after college and engage in a passionate relationship, but of course life gets in the way. As Lucy’s career takes off, planting her permanently in New York City, Gabe’s artistic pull to see and share the world through his camera tears the two apart. The story is told from Lucy’s point of view, seemingly talking to Gabe, looking back over 13 years. Part of me wanted to shake Lucy after she meets Darren, who of course is almost too good to be true, and she continues to yearn for Gabe. AND I wanted to give Gabe a smack in the head for dropping back in on her life over the years (let her go man!!) Frustrating, but then so is love. 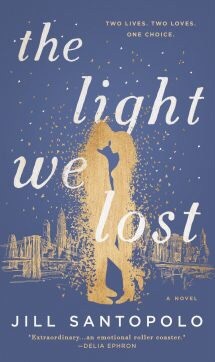 I felt like the ending got a little melodramatic, but overall I really appreciated the relationships and characters. Good Bach read!! PS This reminded me of One Day by David Nichols (2010) in which we see two lovers on the same day, every day, for 20 years, but in that one the girl was WAY too good for the guy. Liked this one better.